Tim Verkruissen is a Trance artist from Haarlem. 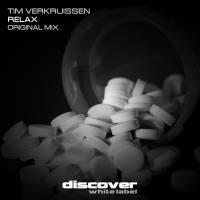 An extremely prolific producer, Verkruissen’s work has been published in labels such as Flashover, Armada, FSOE, Pure trance among others. Less interested in commercialization than in art, Tim focuses on authenticity in his music. He consciously makes an effort to move against the grain and to rebel against the profit-driven work that has become so popular in recent years. Recently, he’s been focusing on growing as a DJ to spread his philosophy of quality over money, and most importantly: to usher in the Trance renaissance which keeps the Old-School sound alive through the evolution of Trance done right. Music is in his soul, as much a part of him as love is, and he is intent on preserving old-school trance for future generations to hear and enjoy.